The unique culture of Accurate Box has been shaped by our historic American legacy as a family-owned, independent company. Keeping all of our manufacturing here in the USA remains a core value of Accurate Box as we continue to employ members from the local community and grow in size each year. Today, Accurate Box is women owned and celebrating 75 years in business. We continue to be recognized as an innovative company, staying ahead of the curve by investing in new technology and adapting to the rapidly changing needs of our customers. Accurate Box Company was founded in 1944 by Henry Hirsh, originally as a small folding carton company in Newark, New Jersey. Henry’s son, Charles Hirsh, then took over the business in the 1960’s. Under his guidance, the company experienced tremendous growth as a folding carton manufacturer specializing in large format packaging. Hirsh’s vision led to the marriage of graphics to corrugated (litho-lamination) in the 1970’s as Accurate Box became one of the first companies in the United States to purchase an Asitrade, an in-line corrugator/laminator. By the early 1980’s, Accurate Box Company had outgrown its original building in Newark and moved to its current 9 acre location in Paterson, New Jersey. In the mid 1990’s, Charles’ daughter, Lisa Hirsh, became president and maintained the tradition of reinvesting in the company’s future. Under Lisa’s direction, we continue to modernize and expand our capacity while taking prominent steps towards manufacturing more sustainable products. Accurate Box is now one of the largest independent box manufacturers of litho-laminated packaging in the United States. 1944 Henry Hirsh leaves his sales job and begins to manufacture folding cartons. Accurate Box Company starts its journey in a 17,000 sq. ft. facility on Miller St. in Newark, NJ and partners with Nate Johnson to run logistics. 1948 Henry Hirsh presents Accurate Box’s first machines, a single color letter Miehle Printing Press, a Miehle Die Cutter and a Model A Gluer. The Miehle Printing Press ran 1000 sheets per hour. 1950 Charlie Hirsh, son of Henry, leaves Bowling Green State University at age 20 to help his dad in the folding carton industry. 1954 Accurate Box recreates the company logo. 1960 Henry and Charlie Hirsh partner to move Accurate Box Company to a 35,000 sq. ft. facility on North 3rd Street in Newark, NJ. Installs the first new 42 inch Bobst Die Cutter. 1964 After his father passes away, Charlie Hirsh becomes president of Accurate Box Company at age of 34. 1972 As business continues to grow, Accurate Box Company expands its facility in Newark by 20,000 sq. ft. and purchases the company’s first 56 inch 5 Color Planeta Printing Press. 1977 Accurate Box Company’s main markets were housewares and toys. Charlie Hirsh visits Europe to find a substrate that offered more strength for these heavier items. Charlie brought back the knowledge of litho-laminate, a popular process only in Europe at the time, and Accurate Box becomes one of the first providers of litho-lamination in the USA. 1982 Daughter of Charlie, Lisa Hirsh, and her husband, Mark Schlossman, join the Accurate Box team. Carton manufacturing continues as litho-laminated corrugated was only 10% of the total business during this time. 1983 Charlie Hirsh secures the new purchase of its current location at 86 5th Avenue in Paterson. Coleco’s Cabbage Patch Doll goes on record as one of the most successful new dolls introduced in the toy industry. 1984 Accurate Box receives first-place in the Progress in Packaging competition. This award is an achievement for “top-quality image” on the folding carton produced for Conair Corporation’s “Design Line”. 1986 The demand for litho-laminated corrugated packaging continues to increase becoming 50% of the total business for Accurate Box. With this tremendous growth, Accurate Box installs one of the first Asitrade Version 1 Laminator to exist in the U.S.A.
1990 Accurate Box Company phases out folding cartons to concentrate solely on the litho-laminated business and establishes vendor manage inventory programs (VMI). They gain competitive advantage on freight costs. 1997 Lisa Hirsh becomes the company president, making Accurate Box one of the largest women owned manufacturers in New Jersey. 1998 Mark Schlossman is promoted to Executive Vice President and Accurate Box Company purchases a new Asitrade Version 3 Laminator and a new 7 Color Planeta Printing Press. 2000 Accurate Box launches the service award program celebrating 40+ year employees and establishes the company’s mission statement. 2001 Continuing to gain market share in litho-laminated corrugated packaging, Accurate Box purchases Bobst Diecutter 5 SPO APR. Accurate Box is the first U.S. box manufacture with this machine. President Lisa Hirsh receives the Ernst & Young Entrepreneur of the Year Award. 2004 Accurate Box Company launches a new logo and upgrades to V4 Asitrade Laminator. They form a successful alliance to produce Weyerhaeuser’s litho-laminated packaging, helping to expand their client base nationally. 2008 Demand increases for high graphic litho-laminated packaging and employment increases further. Accurate Box purchases a second V4 Asitrade Laminator. 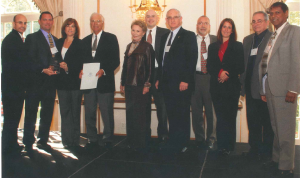 2011 Receives the New Jersey Family Business Award, honoring the success of Accurate Box’s positive community impact, economic growth and the multi-generational progress as a company. 2012 Installs a new Bobst Mastercut 1.7 Autoplaten Die Cutter and a new Maxon sheeter. 2014 Accurate Box celebrates 70 years in business and is honored as a Manufacturer of the Year finalist. The team welcomes the 4th generation of the Hirsh family, Samara Schlossman. The company commits to over $10 million in new state of the art equipment and an expansion on the current facility adding 200,000 sq. ft.
2015 Accurate Box Company wins the WhiteWave award for three consecutive years with zero rejected boxes. 2017 Accurate Box completes a 200,000 square foot expansion project. Accurate Box receives the Patriot Award for building a family business legacy of providing support to employees that are military members and their families. 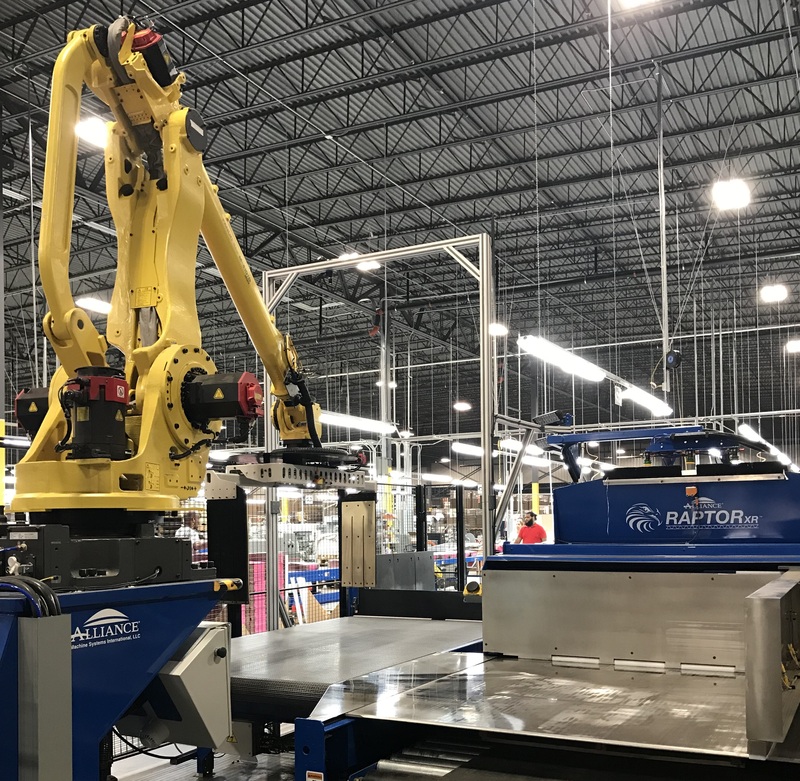 2018 Accurate Box buys state-of-the-art equipment, including a new digital press, a new Alliance Robot, and a new printing press. With the installation of the new press, Accurate Box now has LED UV coating capabilities which enables the team to achieve shorter make-ready times with less waste and ensure greater color consistency throughout all print runs. Accurate Box continues to reinvest in its equipment and is excited for future growth as an independent and family-owned company. The team remains as committed as always to the quality and integrity of its products and the needs of its customers.